How long has it been since you got a roof repair or roof replacement done for your residential property? Most homeowners, unfortunately, neglect the fact that their roofs need some special attention at times, in order for it to remain durable and long-lasting. 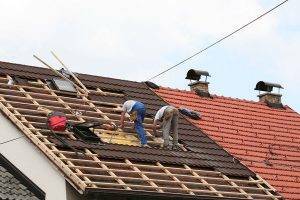 Our team will come out to your home and give you the proper roof inspection you need. Once we inspect all areas, we will determine what needs to be done to save your roof from deteriorating. Fixing your roof can only benefit your home. We want you to be safe and feel secure in the comfort of your own home. Waiting on fixing your roof when you know it needs special attention can put your property at risk. Call us today for a free consultation!